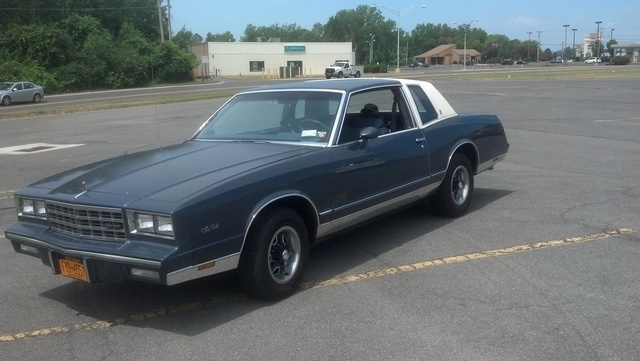 Have you driven a 1984 Chevrolet Monte Carlo? 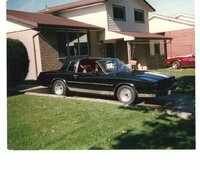 Displaying 11 - 19 of 19 1984 Chevrolet Monte Carlo reviews. If You Have Money To Put In The Tank The Car Is Great Car To Have Fun In But Wont Kill Yourself In — the car is good performance appearance. it has a 350 swap and is tons of fun on a highway. the car has ig willwood breaks so it stops on a dime. with the 18in rims the car takes turns great and will get sideways when you want it to. 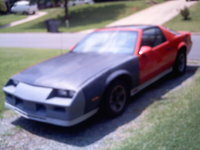 te car has a new two tone paint job,and new interior with a compleat sound system.the car is a blast to drive. This Car Rocks!!!!!!!! — This car is FAST I have the engine built up mad. I havent drivin it in a few years and really need to get it out and burn some more off the tires, thats the problem with this car is that i just have to go fast when i drive it, its all or nothing and way fun when I do. Monte Carlo — Guys this car is amazing.It can be white, black or a blood red with pin striping down th side. And if you reallly want to get rare....look for a monte carlo ss aero. Only about 3000 were made. I would sell my left arm for it. Its my favorite car. Awesome Car — i love my car. the 350 v8 in it will run forever. its a beautiful car and its performance is excellent! the interior is insane. its like somebody put it in a garage for 25 years and didnt touch it. the sound from that engine is like noise from heaven. 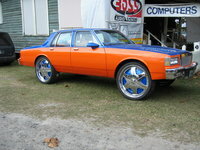 Pros: color, motor, interior, wheels, tires, build, performance......etc. Cons: paint job is a little chipped, emissions are pretty bad. Best Car I Drove — I bought this car a couple years ago for $3,500. The guy was originally asking $5,500 for it, but my dad was able to talk him down. I have yet to get this car 100% on the road yet. It does run, but I still need insurance for it. From the little bit I drove it around the neighborhood, it handles great. Acceleration is outstanding with it's 305 V8 engine. The only thing I won't like about this car is how much it's going to guzzle gas...My uncle (who is a mechanic) estimates it will get about 15 MPG. If anyone knows anyone selling any older Monte Carlo SS, you should definitely buy one. These are GREAT cars! Pros: Lots of power, very stylish, very roomy. Cons: Guzzles gas like there's no tomorrow. Pros: Easy to work on, lots of room under the hood, easy to find parts for. Cons: Known for the chasis problems. My Mom's Mid-life Crisis — My dad bought this for my mom just before they divorced. Later she painted it purple and cruised the blvd. It was THE coolest car... back in the day anyways. She eventually sold it to my boyfriend who made one payment and then got missin'. Oh well, if he is still driving this then I bet he doesn't look that cool anymore! Pros: Good solid looking and drivng. Awesome If You Get Rid Of The Stock 305 — The weak sauce 305 ci motor that came in this car was dragged down by all the emissions crap they put on it; 185hp for a V8? The I4 in the Golf GTi makes 200hp. 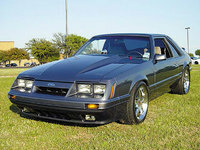 Other than that I think the G-body Monte Carlo SS is one of the best looking cars of the 20th century. Build quality was actually quite good- for 1984. By todays standards the interior is horrendous with big gaps and bad plastics. Aside from being underpowered the motor is also probably the first thing to break in most of these cars. CarGurus has 681 nationwide Monte Carlo listings starting at $2,500.